Talent management is more than a business buzz phrase. It refers to the process of recruiting, hiring and retaining right-fit, top performers for your organization. We all know that turnover at all levels is costly and can destroy any chances for making a profit. According to Kevin Klinvex, co-founder of Select International Inc., the latest figures show that it costs as much as 30 times a person’s salary to replace them. It is generally accepted that one element of lean operations is waste reduction. Transforming your organization into a talent management organization means utilizing efficient people management processes that eliminate waste in the form of turnover, ultimately giving you the ability to direct more money to the bottom line. Many organizations hire business trainers and consultants to assist them in improving their people management practices, usually requesting strategies and tactics for right-fit hiring. However, right-fit hiring is the second step in transitioning to a talent management organization. To ensure that you get the most value from the process, it is necessary to begin with attracting and recruiting right-fit talent. This means attracting talent that is right-fit for your culture. 1. Job or workplace was not as expected. 2. Mismatch between job and person. Attracting and hiring for your culture is not as complicated as you may think. The key strategy for recruiting and attracting right-fit employees is to communicate your culture prior to the interview. To accomplish this, marketing materials must reflect the elements of your culture, representing your employee dynamics, and utilizing language and symbols that are strong representations of your culture and your brand identity. For example, the Walt Disney Company is probably one of the best in the world at attracting and hiring right-fit employees. When you look at the picture above, you see two of the most recognizable icons in the world: the Cinderella castle and Mickey Mouse. These symbols represent the Walt Disney Company, its culture and brand identity. 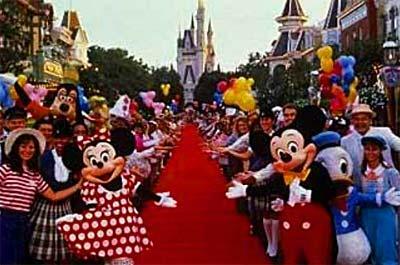 If you were considering applying for a job at Walt Disney World and the ad contained this picture, you would likely make a judgment decision at this point as to whether this environment (culture) was right for you. Disney also makes strategic use of language. For instance, when hosting a hiring campaign, Disney will use phrases that speak to the friendly dynamics of its employees (cast members). These words and phrases are intended to attract the right person to the company. If, as a potential new hire, you think the words “magic” and “dream job” sound ridiculous, you are less likely to pursue a job at Walt Disney World. Nordstrom’s, Ritz Carlton Hotels and Southwest Airlines are examples of other premier organizations that use this process to attract right-fit employees. Ritz Carlton utilizes phrases such as “Ladies and gentlemen serving ladies and gentlemen,” alluding to the fact that they hire ladies and gentlemen, not just employees. Employing the strategy of communicating your culture prior to interviewing results in a certain percentage of applicants self-selecting out of the process. Walt Disney World has found that approximately 10 percent of applicants self-select out of the process, reducing waste in the form of human resources and time by avoiding non-productive interviews. So before you begin your next hiring process, be sure to focus on the key strategy of recruiting and attracting right-fit employees.